Please note that this rating strip has been discontinued. Even so, as per BSA guidance on all discontinued awards and uniforms, it is still authorized for uniform wear. See more details at Amateur Radio Operator Rating Strip — Discontinued. 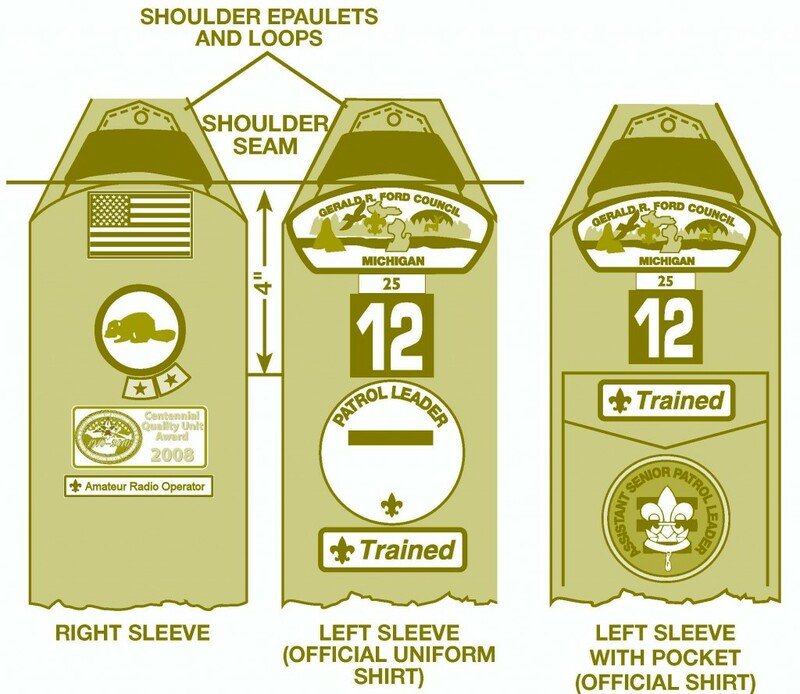 The National Radio Scouting Committee is pleased to announce that the BSA Awards and Insignia Committee has approved the Amateur Radio Operator Rating Strip for wear on youth and adult leader uniforms. This rating strip recognizes the member’s availability as an amateur radio operator for communication services for events and activities as well as emergencies. All registered youth members and adult leaders who also hold a valid amateur radio license, of any class, issued by the Federal Communications Commission are eligible to wear the rating strip. The Supply order number for the rating strip is #617431. Click here for Online Ordering. The rating strip is worn on the right sleeve, in position 3, under the US Flag (position 1), and patrol emblem or den emblem (position 2). If a unit award is present in position 3, the rating strip is worn in position 4. If no patrol or den emblems are present, it is still worn in position 3. Reference the Guide to Awards & Insignia. We've also provided a guide below for your reference. This rating strip is similar to the Amateur Radio Operator Badge offered as a proficiency badge by Scouts Australia as well as the recently introduced badge by Scouting Netherlands. It follows in the footsteps of the Scout Radioman personal interest badge for Senior Scouts and Explorer Scouts that was offered by the Boy Scouts of America in the 1940s.